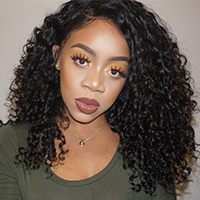 There are Brazilian, Eurasian and Indian virgin hair in body wave style wholesale on New Star Hair store, which supplies high quality 100% human beings virgin hair. Body wave weave has unidirectional cuticles aligned, it feels soft and very bouncy. Rollers on the body wave weave hair createa soft and natural looking wave. These long-lasting body wave style weaves are tangle free and in natural virgin hair color. We have our own factory and office in the United States to guarantee immediate shippment.